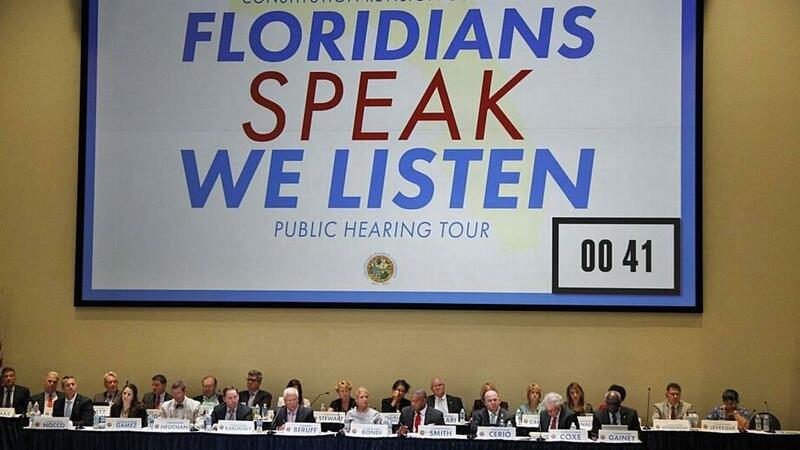 The Florida Constitutional Revision Commission meets every 20 years. After drawing widespread opposition from business and agriculture groups, a proposal to redefine legal standing for Floridians on environmental issues won’t go before voters in November. The Judicial Committee of the Florida Constitution Revision Commission on Friday unanimously rejected the proposal (P 23), filed by commission member Jacqui Thurlow-Lippisch, with opponents saying it was too broad. Thurlow-Lippisch, a former mayor of Sewall’s Point, acknowledge after the meeting that while the proposal may be “a little extreme,” she will continue to work on improving it as a citizens’ initiative. The “any person” language is what raised hackles of critics. Currently, people must show they are “substantially” affected to challenge state permits. Former state Sen. Arthenia Joyner, an attorney and commission member from Tampa, encouraged Thurlow-Lippisch to keep working on the proposal, which was inspired by students from the Treasure Coast. “If there was a way that we could carve language out that would actually have some standards that could be measurable, and it would not be open to anyone’s definitions and standards, that’s the challenge,” Joyner, a former Senate Democratic leader, said. Thurlow-Lippisch said she hopes the students who first proposed the idea won’t give up on the idea. “Sometimes you have to make extreme changes to have considerable benefits,” she said. Thurlow-Lippisch was appointed to the 37-member commission by Senate President Joe Negron, R-Stuart. The Constitution Revision Commission meets every 20 years and can place proposed constitutional amendments directly on the 2018 ballot. Committees have been looking at dozens of proposals. 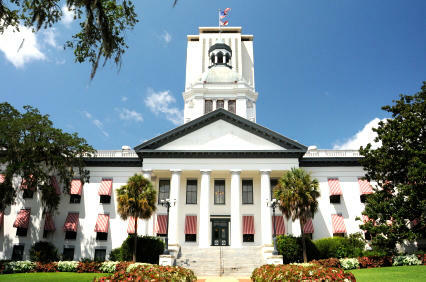 Senate Agriculture Chairwoman Denise Grimsley, a Sebring Republican running this year for agriculture commissioner, and former Department of Environmental Protection Secretary Herschel Vinyard became the latest voices to oppose the proposal this week. Vinyard equated the proposal to “feel good” constitutional amendments in the past that have addressed issues such as pigs and high-speed trains and contended environmental-restoration efforts could be jeopardized by the proposed amendment. “This proposed amendment gives a disgruntled homeowner not wanting to give up his or her septic tank another litigation avenue to block a new wastewater treatment system,” Vinyard wrote. Thurlow-Lippisch has said she filed the proposal because the Constitution might appear friendly to the environment but often offers contradictory language that nullifies preservation efforts. 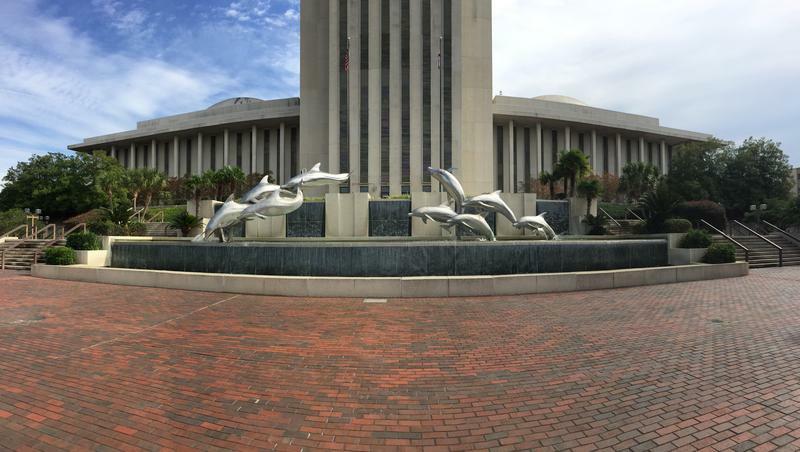 She noted on her blog that the proposal has raised environmental awareness and made the business and government community “look desperate to hold on to Florida's ‘standard environmental operating procedure’ that puts corporations and development before people. “With the Judicial Committee’s vote today, Florida’s comprehensive, thoughtfully crafted environmental policy will remain intact, continuing to protect the rights of Floridians and provide much-needed regulatory certainty and stability for businesses moving forward,” Bevis said. A House Republican who previously served on the Duval County School Board proposed a constitutional amendment Monday that would place term limits on school board members across the state. A measure that would require future tax or fee increases to be approved by two-thirds votes of the Legislature is ready for consideration by the state Constitution Revision Commission.